In keeping with my “eat healthy and get fit” resolution this year, I’ve been doing good keeping up with going to the gym regularly. What I like about the gym I joined is that every machine has a audio box that you can connect to to listen to the radio or one of the many TVs playing. I like to catch up on the news or zone out to a sitcom when I’m on the treadmill or bike, so I always bring a pair of headphones with me each time I go. I’ve been using my plain old iPhone headphones since those were the only pair I’ve owned. But now I have a fun and stylish pair to take with me, courtesy of Jamboo Headphones. 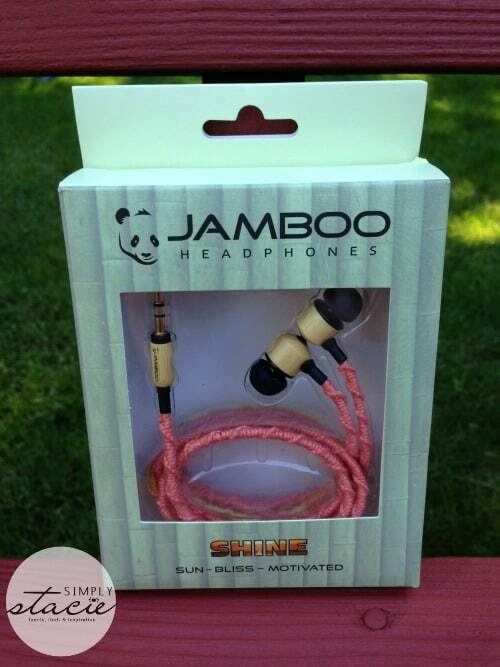 I received a pair of Jamboo headphones in Shine for review. These headphones are manufactured with bamboo on the earpieces, middle connector, and headphone jack. The cord is woven with cotton thread and styled around a specific nature inspired theme, in this case the theme being the the sun. Jamboo uses a special method of weaving the cord that keeps the headphones tangle free – this is my favorite feature, my iPhone headphones were always getting tangled! I really like the color of this particular design, it’s so bright and cheerful. 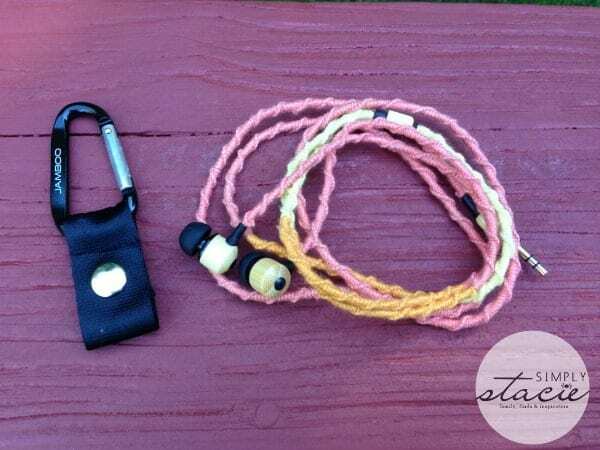 Another great feature is the “leash” that comes with the headphones – keeping them contained and making them easy to attach to your gym bag or purse. I found these headphones to be comfortable and really quite stylish, with great sound quality. 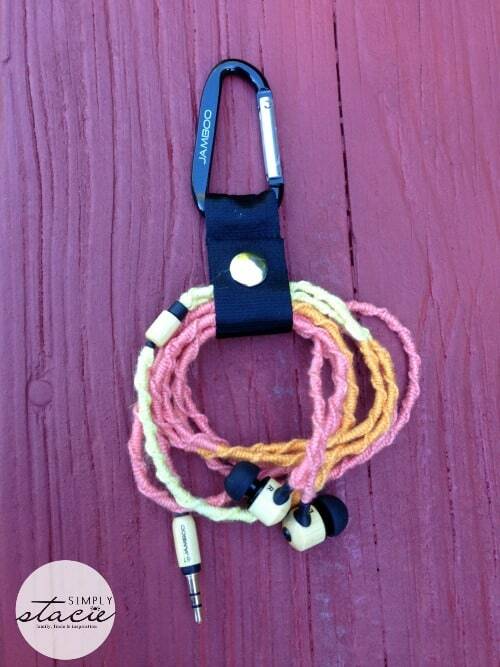 All of the current Jamboo headphones sell for $29.99 on the Jamboo site, and every one comes with its own leash. Jamboo Headphones began with the dream of longtime childhood friends Scooter Vaughan and Austin Glenn who were able to raise over $20,000 through Kickstarter to make their dream a reality. They used the money they raised to bring Jamboo Headphones to fruition and give customers a unique, style-driven choice in the cluttered headphone market. As a company they strive to produce a fashionable, long lasting, and inexpensive headphone that will grab people’s attention while giving off a natural vibe to fit your personality. You can see all the styles of Jamboo Headphones currently available by visiting their website. You can also find Jamboo on Facebook, Twitter, Instagram, and Pinterest. I love these because they would be strong enough that my boys could not break the wires! Those look durable and stylish! I go through allot of headphones as I use them when I go to bed at night. These look like they just stand up to my hard wear habits. Thank you for the review. Love these, I’m sure that my husband would love them for Christmas! These look great and I love the colors on them. Will check them out. Thanks for the review! I love these! They would be perfect for my grandkids; they’d love them! The teen is a musician and she will love these headphones, thanks! I just love the wire cover! Awesome! That is a great price for headphones of that quality.I also like to purchase and support Kickstarter Companies. Those are so neat, and very low cost!! I go through earbuds like water, but this particular products looks like something that will last. I would like to try the Night Sky or Sound Wave headphones. You had me at tangle free! The fact that these are so cute is just a plus. my mom would love those. Thanks for the review – I never heard of this brand before. I love the colors, but I really like the fact that the headphones are tangle-free! I have such a problem with any of the ones that I’ve tried & all of them tangle. I’ll have to check them out.